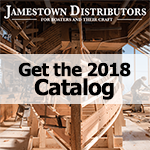 Here at Jamestown Distributors, we know how important it is to have proper protection and apparel in the marine environment. We offer a wide selection of apparel and accessories from some of the best and most widely recognized brands in the industry, like PUMA, Ronstan, US Sailing and Atlantis WeatherGear. Marine apparel is designed to withstand the unique environment that sailors and boaters alike have to deal with. Sailing apparel is constructed from materials to make them breathable, waterproof and windproof and to help keep you protected from the elements, while also being comfortable enough to wear and move around in effortlessly. PUMA outfits the Volvo Ocean Race sailing team, so you can be sure that the apparel they produce will withstand the harshest of marine environments. They offer a wide variety of outwear, suited for light layering as well as heavy duty protection. All PUMA outer layer sail wear features fast drying water resistant materials and waterproof, rubber lined zipper pockets to keep you dry out on the boat as well as providing added water protection. PUMA's product line includes t-shirts, fleeces, thermal tops, smock tops, inshore bibs, wind-stoppers, and much more. Atlantis WeatherGear is also a popular manufacturer of apparel and gear for sailing and foul weather. All of their products, from jackets, soft shells, vests, and pantsuits are designed to stand up to the tough marine environment and are constructed from breathable, waterproof, and windproof materials.